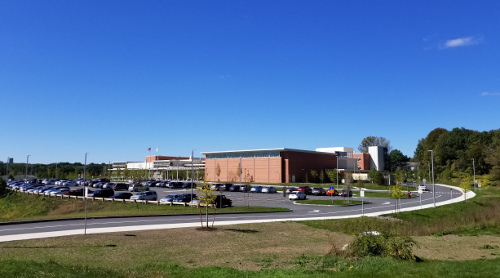 SA provided geotechnical engineering services for design and construction of the largest middle school in Massachusetts, including exploration to define unsuitable soils, design of ground improvement by Deep Dynamic Compaction (DDC), and full-time observation of construction to mitigate unsuitable soils and monitor vibrations. 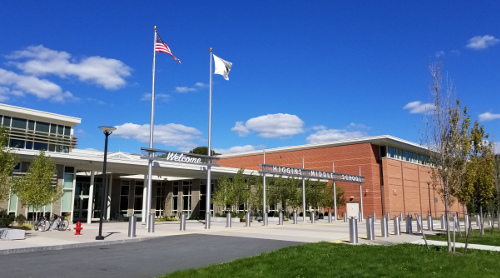 Stephens Associates Consulting Engineers (SA) provided geotechnical engineering for design and construction of the largest middle school in Massachusetts, and one of the largest on the east coast of the United States. 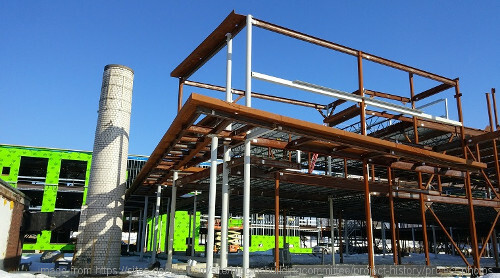 The new middle school, costing $93 million and housing 1,340 sixth- to eight-grade students, is three stories tall, divided into two wings separated by walkways. 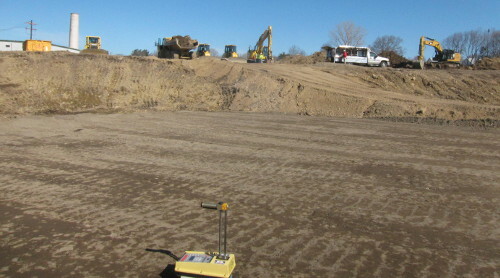 Significant earthwork was needed to prepare the site for the new middle school and parking lots, which were previously sports fields comprised of un-engineered boulder fill from the 1960s, placed over an undulating and highly variable bedrock surface, with large, inconsistent pockets of peat and organic soils. These subsurface conditions presented significant challenges for the project to support the structure foundations and parking lots while managing total and differential settlements and construction costs and schedule. SA performed explorations to evaluate presence and extent of organic soils and consulted on potential impacts to the Project from organic soils and settlements if/when loaded, ultimately recommending excavation and replacement. Where the existing un-engineered boulder fill overlaid bedrock, SA designed ground improvement by Deep Dynamic Compaction (DDC) to allow the existing material to remain in place while improving its properties and uniformity to support foundations and avoiding costly excavation and replacement. 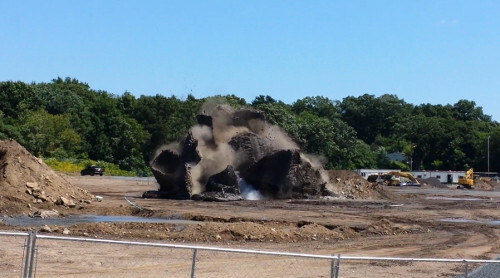 SA evaluated impacts of DDC, blasting, excavation and foundation construction on an existing 50+-year old deteriorated-masonry smokestack located within a few feet of the new building and which could not be removed until completion of the new building. 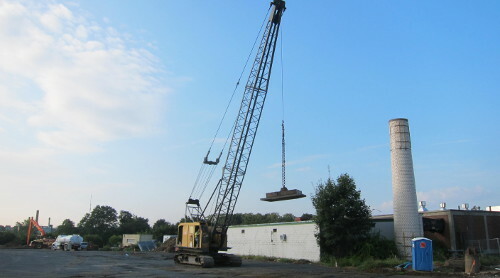 During construction, SA observed the excavation and removal of peat and organic soils, excavation subgrade preparation, and placement of the first lift(s) of backfill full-time on-site, testing backfill compaction by nuclear moisture-density gauge. 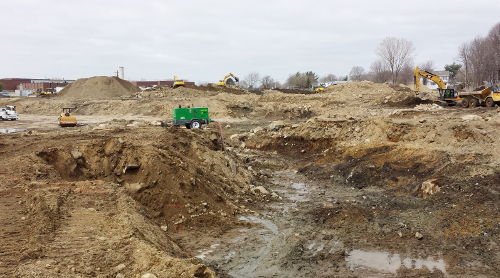 SA assisted the architect/owner in reviewing the contractor’s measurement of excavation and backfill quantities. SA observed ground improvement by DDC, and performed borings before and after the DDC to assess and confirm that ground improvement produced a more homogeneous subgrade, thereby reducing risks of excessive differential settlement due to soft spots in the 1960s boulder fill. 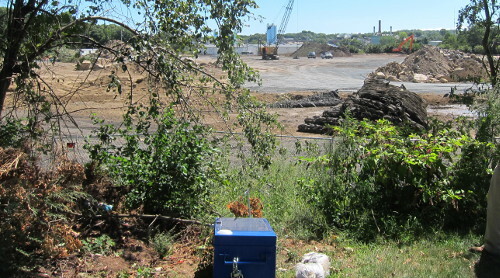 During DDC and rock blasting, SA monitored vibrations and airblast using three solar-powered, remote-monitoring seismographs, programmed to alert SA’s office and field personnel within minutes of measurements exceeding preset criteria. SA also consulted on geotechnical-related issues during construction and reviewed contractor submittals and requests for information.